The Biblioteca Medicea Laurenziana in Florence houses an extraordinary manuscript: an anthology of devotional texts and images called the Supplica­tiones variae, dated 1293 and made for use in Genoa, that ends with a remarkable series of full-page illustra­tions. 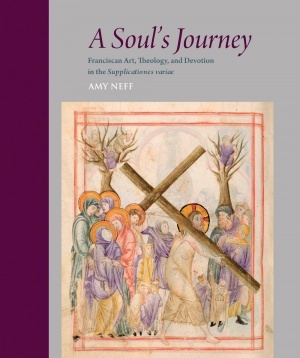 Although the Supplicationes does not include or illustrate Bonaventure’s seminal text, The Soul’s Journey into God, the manuscript is effectively the site for performance of a spiritual pilgrimage, for it is through the Franciscan theologian’s mystical and poetic concepts that the deeper meanings of its images can be discerned. The decorative program of the Supplicationes mirrors Bonaventure’s theology of Christ as Center. Circular in composition, the introductory drawing of the Dextera dei visualizes the book’s underlying thematics of the center, while at the manuscript’s actual midpoint, Christ is pictured as the Man of Sorrows, who conjoins opposites, human suffering and divine glory. Yet the manuscript is also a progressive journey of ascent. In the Supplicationes, as in Bonaventure’s influential book, the path to salvation begins in the world, where humankind has fallen away from God. In its Labors of the Months and marginal drolleries, the manuscript’s calendar gives unusual emphasis to the hard work, ignorance, sin, and distance from God that are part of earthly existence. But there is hope: even imperfect human nature innately reaches upwards, craving relief from misery. God answers human neediness, Bonaventure writes, with the gift of prayer, and the Supplicationes pictures this gift in an unusual miniature depicting Trinitarian grace descending on David in prayer. David becomes a model for the reader’s subsequent journey through the manuscript’s progressively higher levels of prayer, from the vocal prayers of psalms and offices to the contemplative prayer of reading. But it is especially remarkable that in this Franciscan book the highest level of prayer consists in contemplating images. In the sequence of tinted drawings that closes the book, text yields to image, as the reader-viewer performs a non-verbal, experiential imitatio Christi, perusing the thirty-three illustrations of Christ’s life as if following the number of years of his life, and passing through Christ’s humanity to salvation. 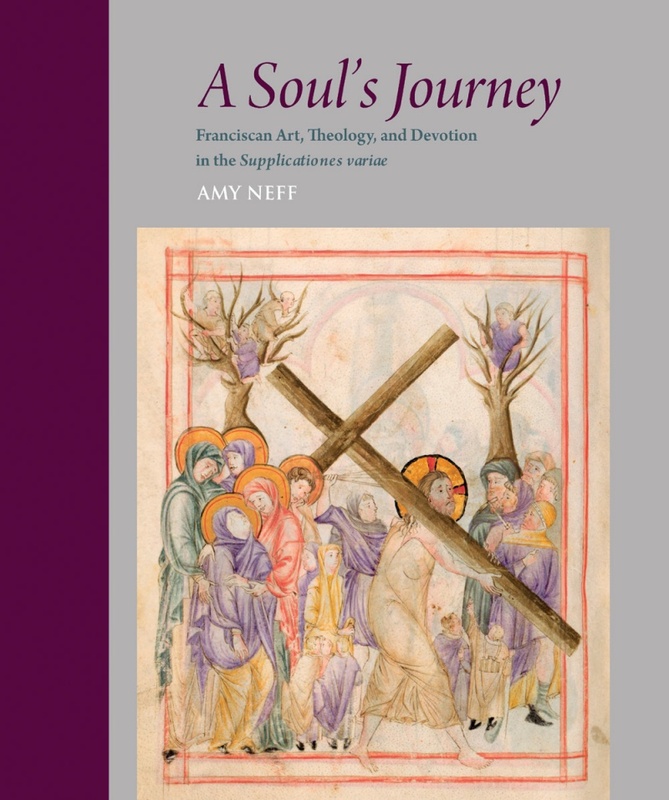 Over her long career, Amy Neff has been committed to studying the role of images in reflecting and creating cultural ideologies, focusing on intersections of art, religion, and gender in medieval culture. Professor Emerita in the School of Art at The University of Tennessee, Knoxville, she is the author of numerous studies in medieval art history. Many of her publications explore the iconography of Mary and the impact of the Franciscan movement on the arts, including essays in Art Bulletin, Arte Veneta, Gesta, the Journal of the Warburg and Courtauld Institutes, and Mitteilungen des Kunsthistorischen Institutes in Florenz, as well as in several edited collections. She has contributed to two major exhibition catalogues, Byzantium: Faith and Power, 1261–1557 (2004), held at the Metropolitan Museum of Art, and Sanctity Pictured: The Art of the Dominican and Franciscan Orders in Renaissance Italy (2014), at the Frist Center for the Visual Arts, Nashville. The recipient of the Rome Prize from the American Academy in Rome, she has also been awarded fellowships by the Center for Advanced Studies of the National Gallery of Art, the Harvard University Center for Renaissance Studies at Villa I Tatti, and the National Endowment for the Humanities.